Last Monday, for the documentary that I am currently working on, I had the honour of interviewing Tun Dr. Siti Hasmah at her office. She had been a role model for Malaysian women (and men) for more than six decades, and played an important role on developing the modern sports of the country. She is also the wife of former Prime Minister Dr. Mahathir. I was 8 years old when we last won the Thomas Cup in 1992, I was watching it from a hotel room in Singapore with my parents, therefore I still have memories of that tournament, like many others in the country. However, to hear her vivid description of the behind the scenes mechanics, the preparations of the players, the electrifying audiences of the stadium and their thunderous applauses, the tears of joy, both the players and her own, I found myself being transported to that historical moment. The emotions within her voice was palpable. She also reiterated that we had to remember the forefathers of these champions, as in, badminton heroes of previous eras who opened the road for us. She was very nice and friendly, shook hands with every single one of the documentary team members when she arrived, and doing the same again when she left the room. Offered us coffee and tea, along with some snacks. It was a humbling and memorable experience. My mother was rather excited that I was interviewing Tun Dr. Siti Hasmah, as I was finishing and was about to leave the place, mom sent me a photo. It was an old photo of my parents and Tun Dr. Siti Hasmah, from an event more than twenty years ago. I recognize the photo, because for a long time, that photo was placed in my parents' bedroom. Because of that, I was tempted to put the photos together. Past and present. To digest the fact that my parents and I, two different generations, had met this extraordinary woman, in different times, under different circumstances. This is what I wrote in my Facebook post, unless you cannot read it. 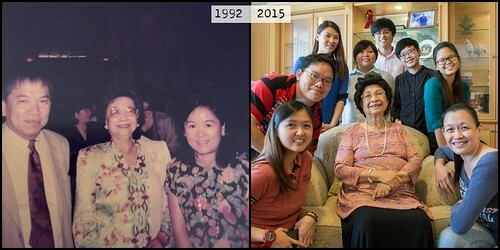 In the early 90s, my parents managed to meet Tun Dr Siti Hasmah, wife of then Prime Minister Dr Mahathir. Comparing the two photos, mom said I look a lot like dad, but some said I'm more like a fusion of both. Known to many as the "Mother of Modern Malaysian Sports", and also her passion for badminton. Tun Dr Siti Hasmah is nearly 90 now, but she was able to describe vividly our great 1992 Thomas Cup triumph, and our heartbreaking 1994 loss. The emotion in her quivering voice was palpable. It's so difficult to explain Malaysia's love affair with badminton, it's somewhat similar to Brazil's relationship with football. The Thomas Cup is like our World Cup. We were the best during the post-war period, but we had also gone through a couple of "1-7"s too over the decades. Directing a documentary is pretty fun! 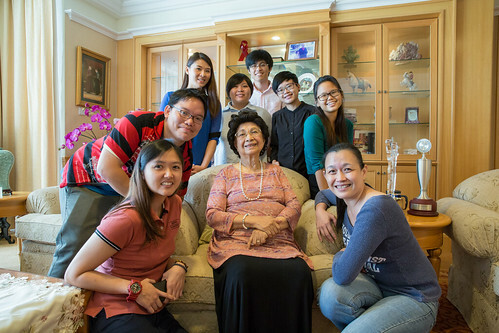 Tun Dr. Siti Hasmah also plays the violin and the piano. 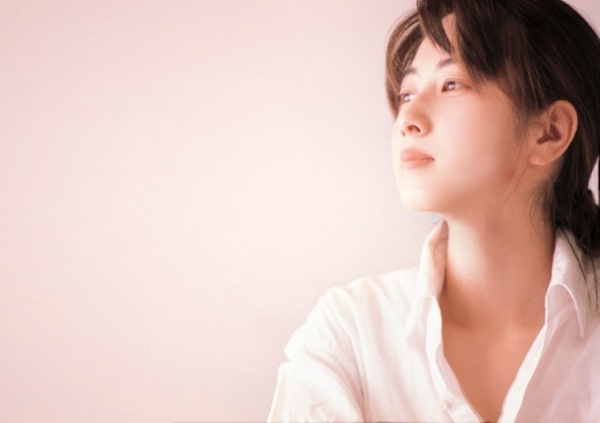 If you look at the following videos, her music choices are interesting, Teresa Teng's Yue Liang Dai Biao Wo De Xin (The Moon Represents My Heart) with the violin, and the Godfather theme song with the piano!